The Million Dollar Challenge is a free binary options software. The developer of this software claims to have made a handful of people into millionaires and says that he can make any trader into a millionaire and if he doesn’t he will give them $10,000 out of his own pocket. I would like to see the contract where that’s written up. Today I’ll be providing review and letting you know if I believe that you can get 1 million or even $10,000 from this guy. The Million Dollar Challenge website consists of an email subscription box, a video, a couple of scripts and a trading results box. Like most videos in this market there is a lot of discussion about big money but there is no roadmap on how this is really being achieved. We are told the obvious elements, that we are using the software to automatically provide us with the profits we require. We are not being told the specifics, which is what the strategy is behind the software and how it approaches the market. These are the elements that are most important to me and I find real traders in real developers focus mostly on these discussions rather than the discussions about future earnings. Sadly, the Million Dollar Challenge uses these ineffective scripts to deceive the website visitors. While I understand their common use in this marketplace and why developers feel they are necessary that doesn’t make it right. These scripts tell you that there are thousands of people on the site and that there’s only a few copies left but if you refresh the page you will find out that every time there are more copies available and there are less people on the site. These are just Internet scripts that are used to generate numbers, none of these numbers are true. The main problem with this is it makes me second-guess the results they provide as well because in this market there is no way to verify results so it’s very difficult to trust any, let alone results provided by someone using scripts and other areas of the website. I won’t be able to recommend the Million Dollar Challenge to the binary today community. In the future this may change if the readers here feel that it’s a good software and can leave some glowing recommendations. 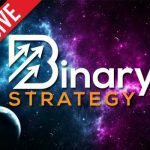 As always, I trust the readers here at binary today and the opinions that they have on binary options software, brokers and strategies. If you have something you would like to contribute to this review today I hope that you leave your thoughts below the article. Please spend some time looking around the website and click ask John at the top of the page if you have any questions for me. Also found this website interesting. The website they use to peddle their crap to affiliates. It even gives them the script to use for their mass email rubbish. Unbelievable. Yea, they pretty much all do this. Hi John, I too have been had by themilliondollarchallenge. It is still running at the moment and has been for around 3 weeks. Currently at 91 trades made, 43 win – 48 loss. I find it amazing that I cannot adjust anything like the risk at all and that I still get emails from them, to my other email address, each week bragging about how much money their members made the following week. Don’t know what software they are using but it aint the same system they have me on!! I have screenshots to prove the trades if you want me to email them to you to use. I have also used and have screenshots from Confirmed Profits (another scam) and Binary Option Robot too (suprise suprise, another scam). Thanks for the update Cory. I deposited $250-00 with the Broker required by The Million Dollar Challenge and before I could even send compliance documents to BinaryBook the “robot” had placed 4 trades 2 lost and the other two close in 6 days. I am down $50.00 and another $50.00 already bid. My account is suspended waiting on compliance documents. I have tried to reach someone at themilliondollarchallenge.co and just get the video that I fell for. I wasn’t looking to get rich, just a chance to improve my income even a little. I am sorely disappointed. I am sorry to hear about your experiences with Binary book. I got involved with them a few months ago through a software called Auto Bet engine. Things seemed to start ok then one of their “Senior Traders” called me and tried to lock me into long term trades and scupper my account. I got very assertive with them. I had sent all my compliance docs in already. After a week of fighting with their senior broker Jessy Rob I received a full refund of my money and they closed my account. I took to threatening legal action and they backed down and returned my funds. Hope this helps and all the best. the million dollar challenge is bigg scamer yesterday we filed 250 euro, trading platform, Vx markets, the software has had six transactions in which 5 loss.